Using the latest Lego robotics technology you will build and program amazing creatures which can move using motors, gears and wheels. Young roboteers will learn how to program sensors to make the robot react to its surroundings. 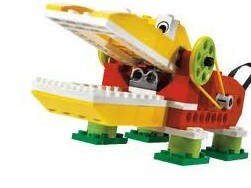 Program robot birds to chirp, crocodiles to snap and plane engines to rev!